Anyone who avidly follows Who What Wear UK will know that I'm pretty obsessed with looking after everyone's feet. Shoes are my favourite thing to buy (and I buy a lot of them), but I'm also incredibly sensible when it comes to looking after the extremities that take a daily bashing. Perhaps it's because I've had so many foot injuries over the years (some related to poor shoe choices; some not) that my obsession continues. And the potential problem I've been experiencing an internal debate on? Sock boots. Can the stretchy fabric really support your ankles as much as you need? Am I doing my feet damage by wearing the same sock boots all winter? Fortunately, one of our trusted podiatry contacts, Dina Gohil, founder and MD of DG Podiatrist in Mayfair, was just on the other end of an email to explain. 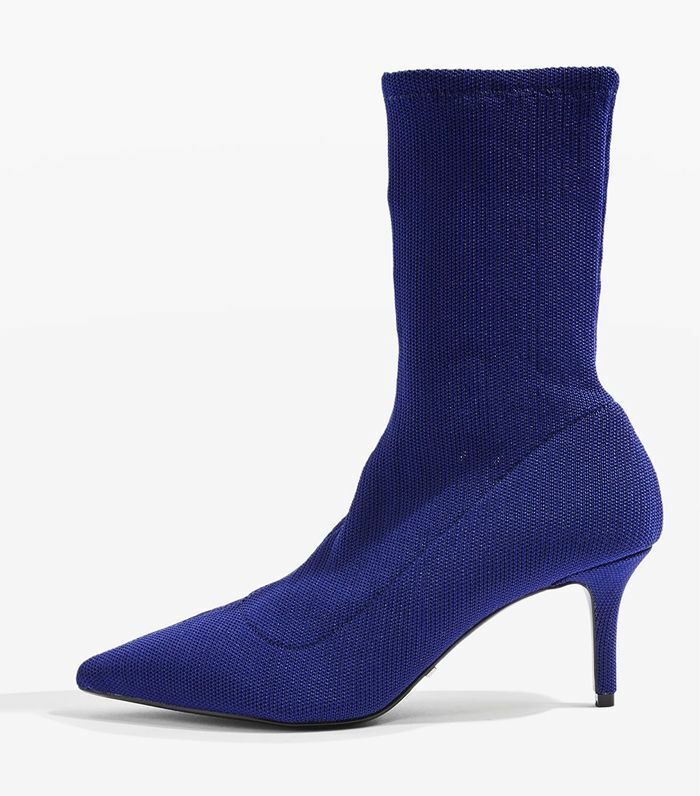 "Sock boots are an interesting new footwear trend," she confirmed. "Personally I feel if they are well-made—meaning the material and cut is ample—you should be able to get mid-foot and ankle support. However, if the foot feels too loose within the boot, you may not be getting the support your foot needs during gait." And by ample, Dina says to really aim for a snug fit, like the kind you'd get with a lace or zip-up leather style. This means you'll need to seek out the stretch fabrics that are most supportive and firm: it's unfortunately a trait that can be lacking in some cheaper versions of this category, so be sure to try on different styles so that you've got a spectrum of options to compare against each other. Oh, and if you're going to be really careful, Dina would recommend a lower heel: "[They're] always preferable to reduce the amount of pressure in the forefoot." So there you have it—shop the sock boots that have my stamp of approval below. These are made of a tight-knit stretch fabric, so they do the trick. The perfect shape combined with such dainty detailing. Who says sensible has to be boring? I have these and wear them at least three times a week. Yes, the heel looks like it's covered in chocolate sprinkles. We've tried these and they're definitely a super-snug option. A hyrbid of classic leather and sock detailing is a foot-friendly way to do this trend. Next up, the French fashion tips every girl should know by heart.